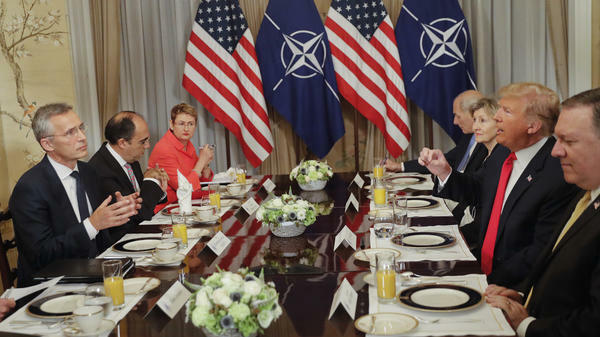 In what was supposed to be a brief photo op ahead of a breakfast meeting, President Trump launched a verbal attack against NATO defense spending as cameras clicked away. German Chancellor Angela Merkel and President Trump make a statement to the press after a bilateral meeting on the sidelines of the NATO summit in Brussels on Wednesday. He blasted the German government for not spending more on defense and suggested that a 3-year-old energy supply agreement has left Germany "captive" to Russia. Hours later, though, Trump took a softer line during a face-to-face photo op with German Chancellor Angela Merkel. "We have a very, very good relationship," Trump told reporters, hours after saying that "Germany is totally controlled by Russia" because of its reliance on Russian natural gas. "I think it's very unfair to our country," Trump said. "It's very unfair to our taxpayer." Trump later tweeted that Germany's energy arrangement undermines NATO and demanded allies increase defense spending immediately — not by a goal set for 2024, which the president seemed to misconstrue as 2025 in his tweet. It was a bruising start to a NATO summit that was meant to emphasize the strength and unity of the alliance. And it's a sharp contrast to the conciliatory tone Trump has taken with Russia ahead of a meeting with President Vladimir Putin next week. Trump was referring to a 2015 agreement between Russian gas giant Gazprom and Germany to build a pipeline under the Baltic Sea. Despite Merkel's tough talk over Russia's annexation of Crimea and sponsorship of separatist rebels in eastern Ukraine, she has defended the $11 billion pipeline deal to supply her country's energy shortfall. 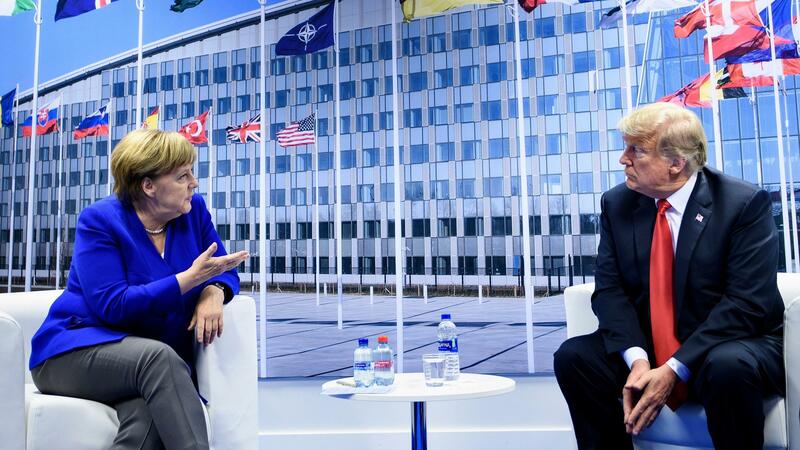 Merkel bristled at the idea that the gas deal has left her country "captive" to Moscow. The chancellor, who grew up in the former East Germany, told reporters, "I have experienced myself how a part of Germany was controlled by the Soviet Union." She insisted that Germany today makes its decisions independently of Moscow, adding: "That is very good, especially for people in eastern Germany." Merkel also pushed back against Trump's frequent complaint that her country doesn't spend enough on defense, saying: "Germany does a lot for NATO." Trump and French President Emmanuel Macron also met with reporters on the sidelines of the summit, after the breakfast. When a reporter asked if Macron agrees that Germany is captive to Russia, Trump quipped that he was glad Macron was getting that question. "No," was Macron's answer as reporters were being ushered out. NATO members have committed to spending 2 percent of their respective GDPs on defense by 2024. Germany currently spends about 1.2 percent, while the U.S. spends about 3.6 percent. "Many countries are not paying what they should," Trump said. "And frankly, many countries owe us a tremendous amount of money for many years back, and they're delinquent, as far as I'm concerned, because the United States has had to pay for them." The White House confirmed that Trump privately said that countries should aim to spend 4 percent of their GDPs on defense, a request he made last year to NATO countries, as well. Trump routinely characterizes NATO countries' defense commitments as if they were a bill owed to the United States, when in fact they're simply a pledge by each country to invest in its own defense. "We all agree that we have to do more," said NATO Secretary-General Jens Stoltenberg during a breakfast meeting with Trump. "The good news is that allies have started to invest more in defense." "Last year was the biggest increase in defense spending across Europe and Canada in that generation," he added. A communique from NATO members at the end of Wednesday's meetings laid out plans for higher defense spending, citing concerns about Russia — specifically blaming it for military intervention in Ukraine and nerve agent poisoning in the U.K. Pressed earlier by Trump, Stoltenberg said the president's frequent criticism was having an impact, encouraging countries to spend more. But he also took issue with Trump's argument that U.S. spending on NATO is an unfair burden for American taxpayers. "A strong NATO is good for Europe and it's also good for the United States," he said. "The U.S. presence in Europe helps to protect Europe but it also helps the United States project power to the Middle East, to Africa." Troops from NATO countries have fought alongside the U.S. in Afghanistan and Iraq. "The strength of NATO is that despite these differences, we have always been able to unite around our core task: to protect and defend each other, because we understand that we are stronger together than apart," Stoltenberg said. The U.S. Senate voted 97-2 on Tuesday to reaffirm American support for NATO. The House is expected to cast a similar, nonbinding vote on Wednesday. "I subscribe to the view that we shouldn't be criticizing our president when he's overseas," said House Speaker Paul Ryan. "But let me say a couple of things. NATO is indispensable. It is as important today as it ever has been." 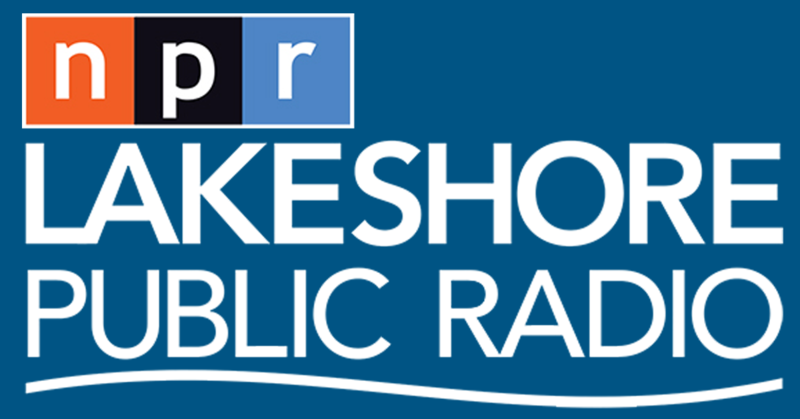 NPR's Alice Fordham contributed to this report.